Hypertension is among the most widespread conditions facing the global healthcare system. Today’s healthcare technology uses two distinct methods to measure blood pressure, the primary exam used to diagnose hypertension. 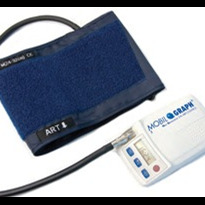 First, there are invasive blood pressure technologies, which measure blood pressure by intra-arterial catheter. These technologies are exclusively applicable in the hospital and can only be used by trained clinicians. Second, there are a large range of noninvasive blood pressure technologies, most based on cuff occlusion. 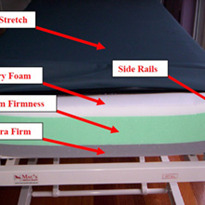 These technologies can be seen in auscultatory and oscillometric devices, while the oscillometric technology can also be used in the home environment. 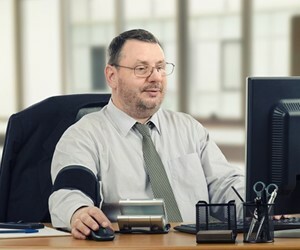 While noninvasive blood pressure (NIBP) devices are available for a variety of uses, some devices are designed for professional-use environments and are aligned with the blood pressure measurement gold standards common to those environments. Differences between readings from different devices can be observed, because multiple gold standard reference methods exist. Noninvasive devices estimate blood pressure with proprietary mathematical algorithms constructed using different collections of patient data. Professional noninvasive devices are designed to cope with the clinically occurring patient variation and withstand a significantly higher number of measurements. Their features often include automatic measurement taking and alarm functions. Other devices are designed for self –measurement at home with a focus on device cost and simplicity of use. 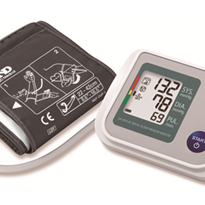 Similarities Most blood pressure devices on the market today utilize the oscillometric method. Each heart contraction causes a pressure pulse in the artery. In the oscillometric method, an occluding cuff, positioned at the upper arm or wrist (the latter is associated with lower accuracy) senses the pressure pulsations resulting from the expansion and contraction of the artery underneath the cuff. These pulses are called oscillometric pulses. 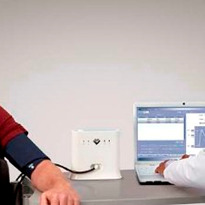 Oscillometric pulsations are observed and measured as the cuff pressure is varied. The pattern of oscillometric pulses increases and diminishes as the cuff pressure is varied up to a value that safely exceeds the maximal arterial pressure of a patient. This pattern of pulses is called the oscillometric pulse oscillogram. The pulse oscillogram is analysed, and systolic and diastolic pressures are derived by applying algorithmic procedures, which are a key element of the accuracy obtainable with a given device. These algorithms must be able to take into account the diversity of expected clinical patients. In professional devices, the algorithm is able to compensate for adverse patient characteristics, like high limb circumferences, small pulse amplitudes, stiff arteries or arrhythmia. In most home devices this unfortunately is not the case. 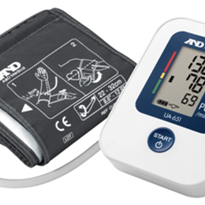 It is important to note that no noninvasive, automated blood pressure measurement device can directly measure the pressure inside an artery. The blood pressure determination mathematically correlates the noninvasive signals to a gold-standard reference to derive systolic and diastolic estimations. Two gold standard references exist for the assessment of the systolic and diastolic blood pressure. The most common reference is the auscultatory reference provided by highly trained clinicians using a sphygmomanometer and stethoscope. 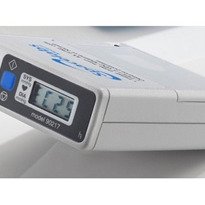 The other reference available is an intra-arterial line that exposes the arterial blood pressure directly to a pressure transducer in the chosen arterial reference site. Although both methods are considered a gold standard in blood pressure measurement,it should be noted that systematic differences in the pressure readings exist between them. Though the fundamental measurement methodology is similar across all three types of devices, devices are designed with specific features that make them useful in their intended use environments. Differences exist in the gold standard reference chosen, the quality of the pressure signal recorded and the algorithmic calculations that derive systolic and diastolic pressures from the pulse oscillogram. These factors impact the cost of the devices and the quality and alignment of their resulting readings. 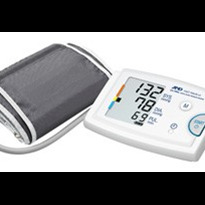 Most noninvasive blood pressure devices commonly seen in healthcare environments fit into this category. 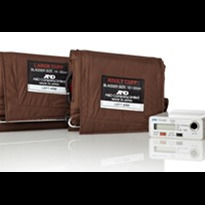 Professional auscultatory-referenced devices should be used in clinical settings for the detection and treatment of hypertension. 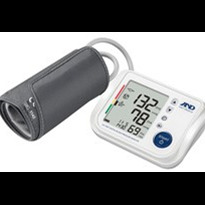 These devices correlate most closely with the all-important clinical manual auscultatory blood pressure readings that have been the reference for care and treatment for many years. Most clinical and nonacute areas of the hospital employ standards of care and hypertensive thresholds based on a long history of auscultatory data. These thresholds are given with international guidelines, such as the WHO hypertension classification (1999) or the JNC-7 Blood Pressure Classification (2003). Devices aligned with auscultatory readings are typically developed and referenced to the most diverse group of subjects and patients. In professional devices, data are collected from hundreds of subjects with broad ranges of blood pressures, arm circumferences, pulse amplitude levels, arterial elasticity (e.g., arteriosclerotic patients, seniors, pregnant patients) and various kinds of pulse arrhythmia. 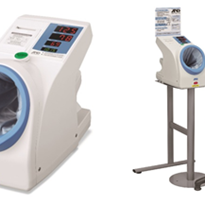 These devices are typically evaluated using the AAMI or BHS standards, which require testing on at least 85 diverse subjects, with an additional evaluation trial in special-group patients if they are specifically addressed by a given device. Professional intra-arterial-referenced devices are best utilized in clinical settings where intra-arterial blood pressure is commonly used for patient care. These areas particularly include the intensive care unit and the operation theater, as arterial lines are basically required in patients with potentially fast-changing cardio-circulatory conditions. Devices for use on children under three years of age generally require intra-arterial reference methods, as auscultation cannot determine the systolic and diastolic points in these young patients with sufficient accuracy. Home-use devices are designed for the tracking of blood pressure values through self-measurement. These devices provide the patient with continuous feedback as to the progress and effectiveness of blood pressure interventional care. The devices are designed to keep their costs low enough so they are accessible to all patients. Often, these devices have reduced processing power and robustness as compared to the professional devices. Limited memory, algorithms that aren’t adapted to patient diversity, and limited component life are other significant differences between home-use and professional devices. These designs often have a reduced accuracy in certain patient groups, as their evaluation trials are based on a standard patient distribution that correlates with the general public’s blood pressure. Simplified algorithms often cannot accommodate the range of arm sizes, pulse levels and arterial hardening, cannot deal sufficiently well with motion artifacts and arrhythmic patients, all in professional devices. Home use requires only a few cycles per day, so their electromechanical components such as pumps and valves do not require the robustness needed for the high number of cycles experienced in professional settings. 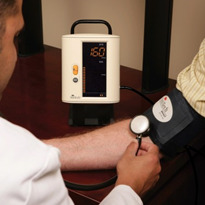 Welch Allyn devices Welch Allyn has over 20 years of experience in blood pressure innovation and technology. Welch Allyn NIBP devices have the processing power to support the most advanced NIBP determination algorithms. 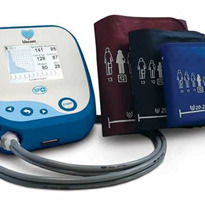 Welch Allyn’s patented technology, SureBP™, applies advanced mathematical methods to accurately determine blood pressure utilizing fast and comfortable technology that captures oscillometric readings during cuff inflation. This technology is designed to recognize and deal with certain arrhythmia and motion patterns, low pulse levels and a broad range of arterial stiffness in an elevated range of systolic and diastolic blood pressures. 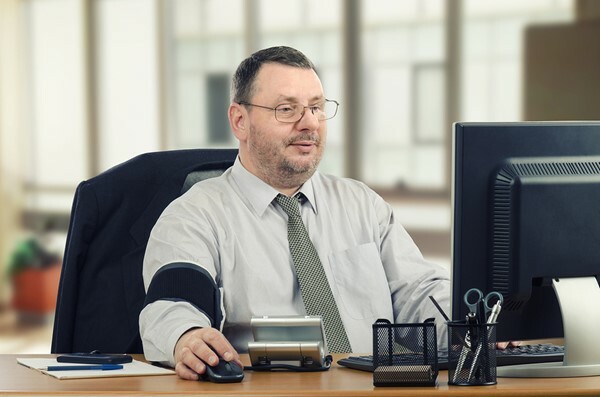 The equally advanced Welch Allyn auscultatory-aligned technology has been developed utilizing data from over 1,000 patients to assure accurate alignment with the diverse patient populations seen in professional healthcare settings.